The Balmoral like a lot of Relyon beds has had a makeover , The base has more wood inside and the drawers are on captive runners , but the biggest change is to the base , The balmoral is now available on 3 base styles , A platform top hard base on legs 31cm high, A Firm Edge Heritage Pocket Base with reinforced sides and solid timber drawers , or you can upgrade to a end opening ottoman base. The firm edge Heritage Pocket is 41.5cm high which will have 850 pocketed springs in the base for increased comfort and support. This new base will feature solid timber sides , hardwood corner blocks and bases will be glued, pinned and screwed together to offer solid construction. 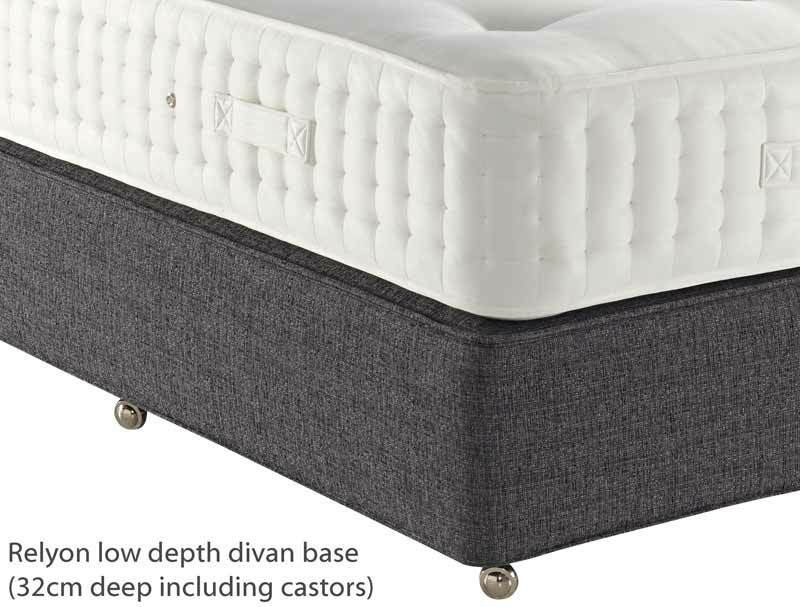 The mattress still contains 2 layers of 1000 centre tied pocketed springs in a king size mattress along with lambs wool , natural hair , cotton and a anti allergenic white fibre layer on both sides of this fully turnable mattress. 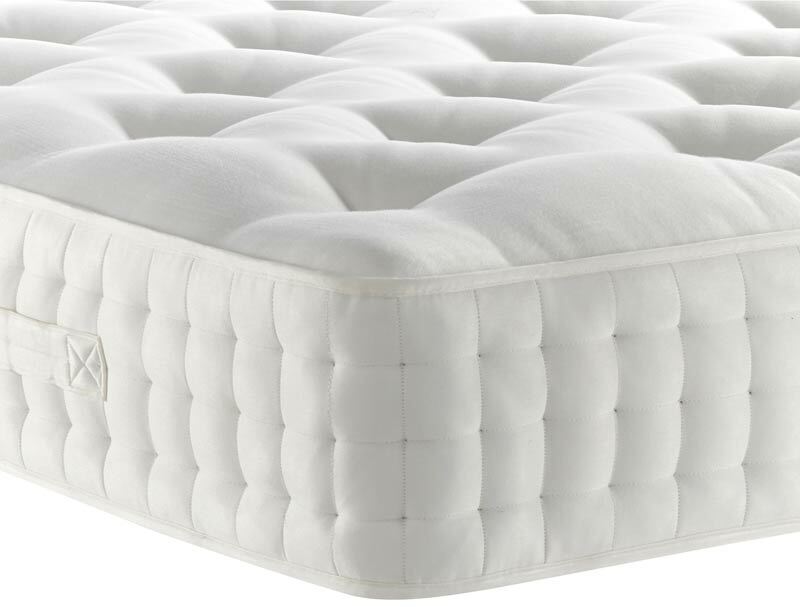 The mattress is further enhanced with 3 rows of hand side stitching , woolen tufts and a new luxury soft touch kensington damask fabric . 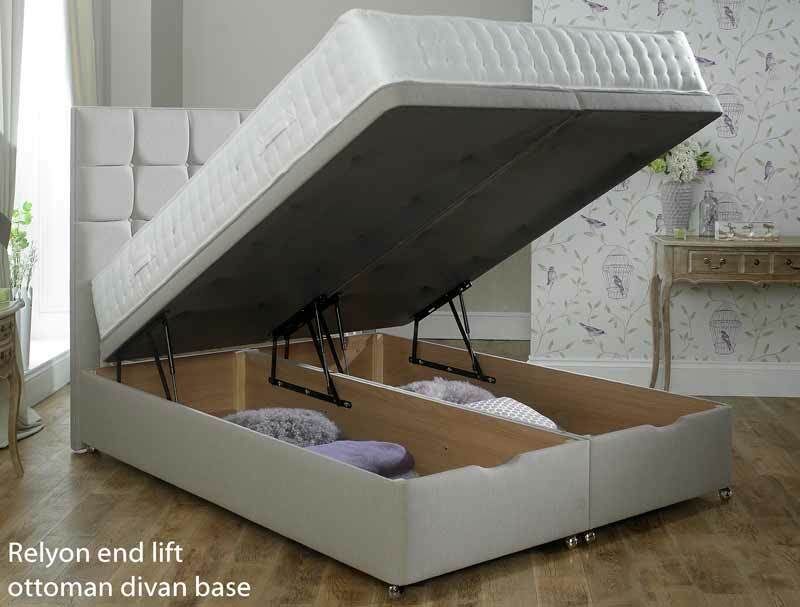 Drawers are a option currently Relyon are offereing 2 Free drawers on all size beds normally £100. 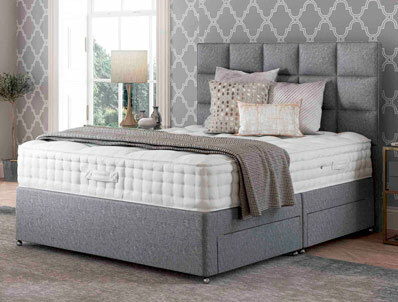 The picture illustrated of The balmoral shows a Modern slim wide floor standing headboard this is extra and is not included in the price but can be made to match the base as seen in fabric Rain. 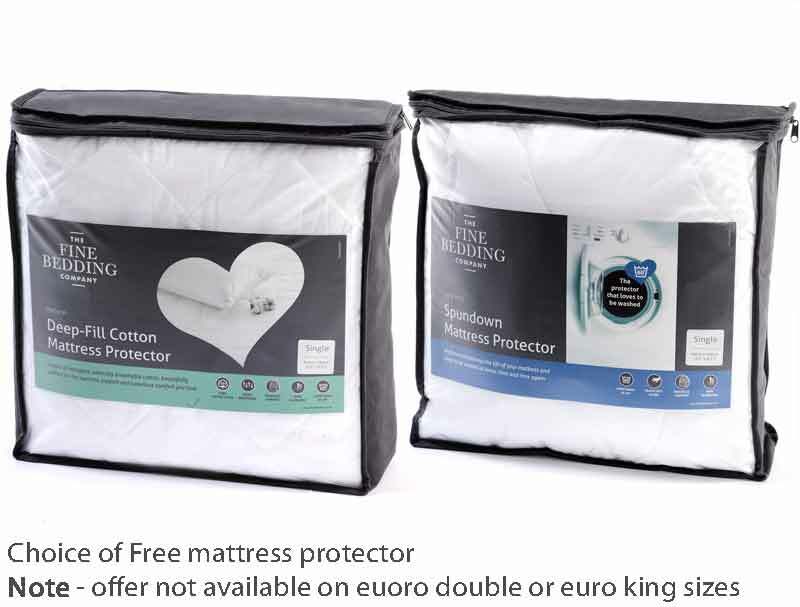 The bed will come as standard in a range of 6 fabrics , however you can upgrade to a premium price contempory fabric range for a additional £50. 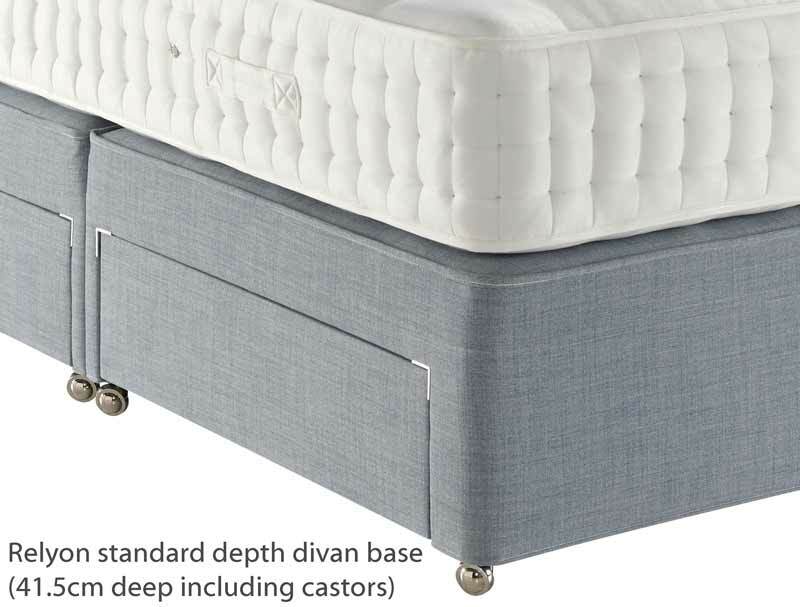 All new Relyon beds have stronger base and captive drawer runners as standard.